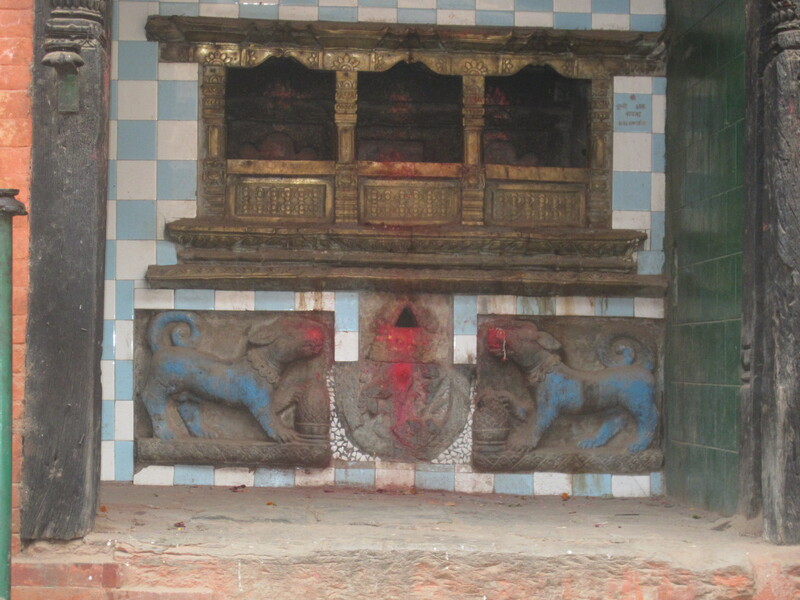 Temples, other sacred structures and religious iconography are everywhere in Nepal. 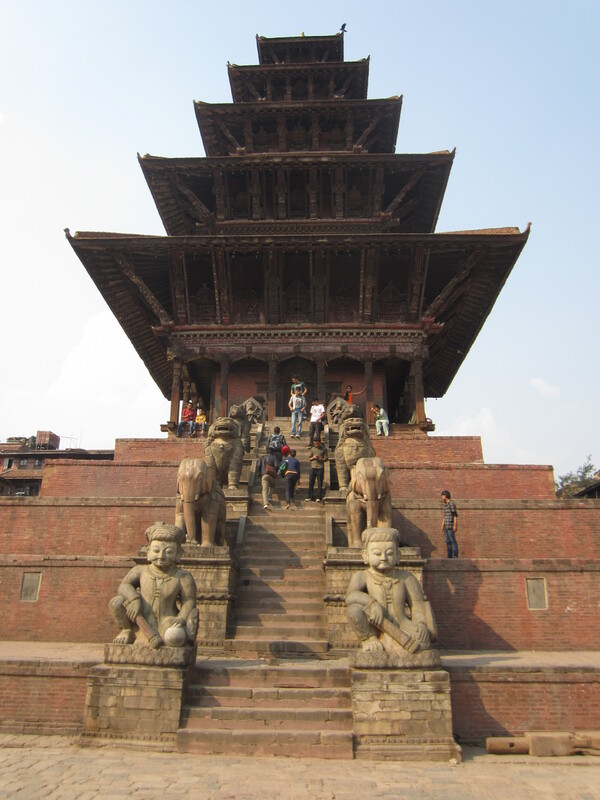 It would take months of determined sightseeing just to visit all of the temples in the Kathmandu Valley and many years of study to understand them fully. It would be easy to overdose on religious studies and temple touring, so we’ve engaged in both on only a limited basis. 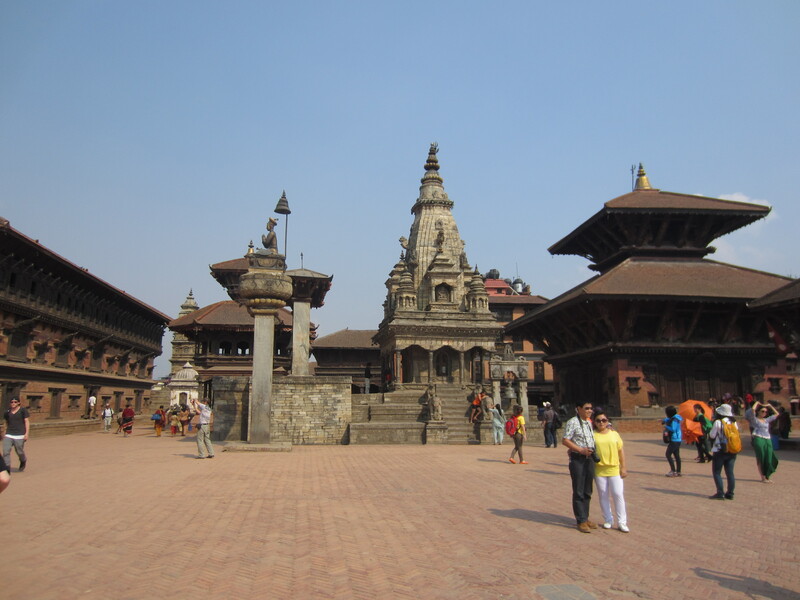 But religion plays such a central role in this society that, not only is it an unavoidable part of any trip to Nepal, one cannot understand Nepal without first trying to understand the two main religions here: Hinduism and Buddhism. 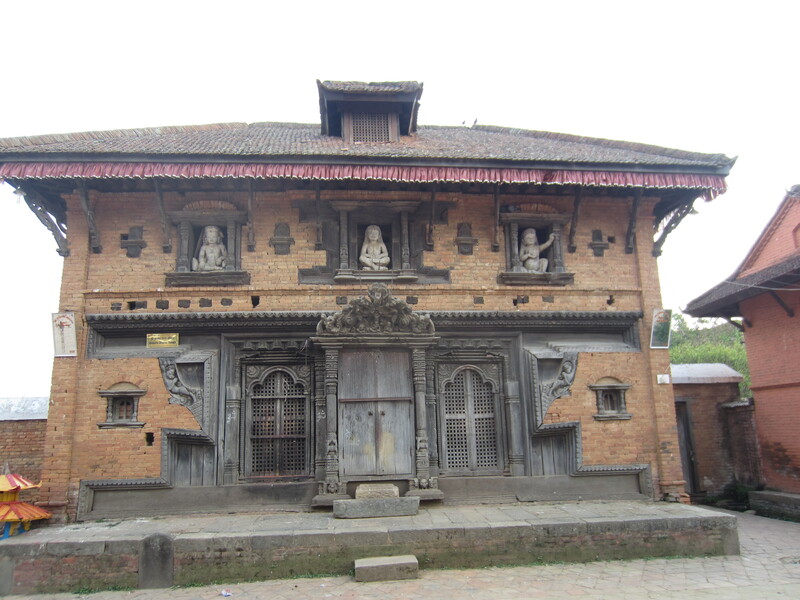 This entry tries to give an account of some of what we’ve seen of these religions in the architecture and statuary in the Kathmandu Valley. 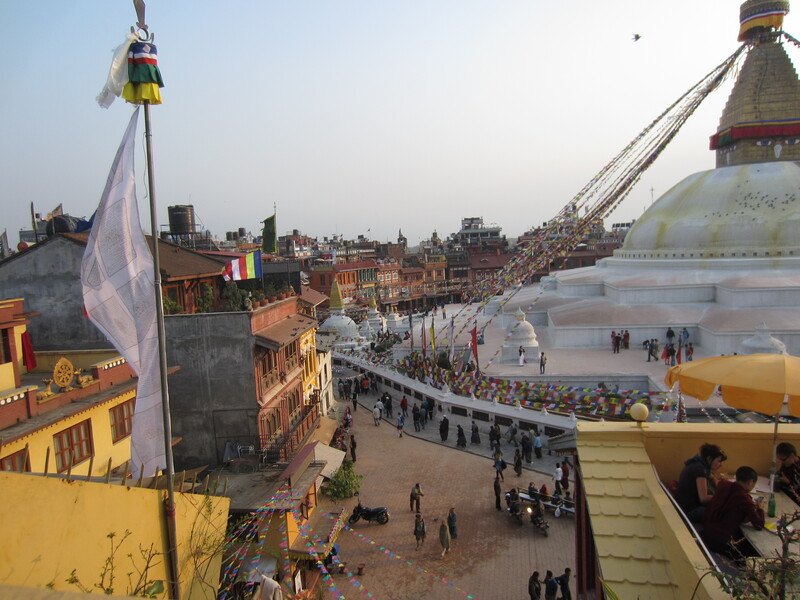 We started our time in Kathmandu Valley in the Tibetan Buddhist neighborhood of Boudha within sight of the huge Bodhnath Stupa. 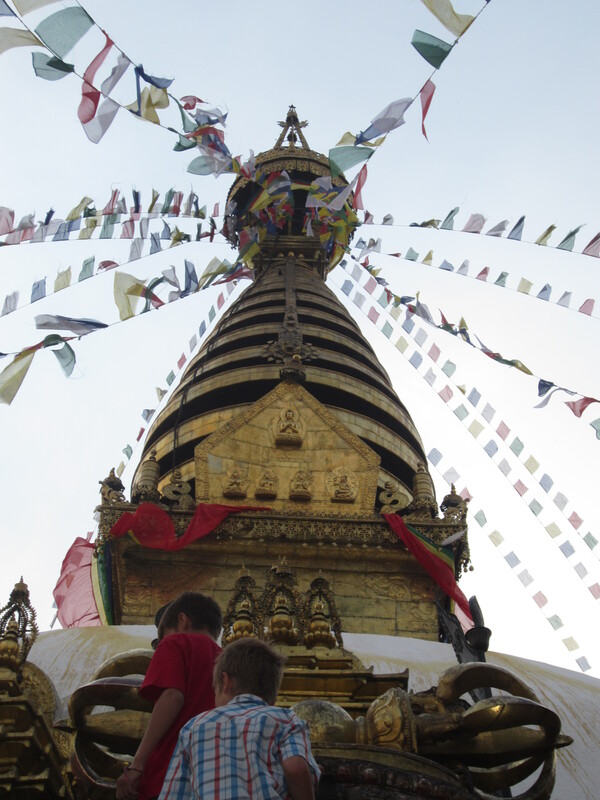 This stupa has attracted Tibetan refugees and travelers over many centuries and is a centerpiece of the exiled Tibetan Buddhist community in this country. 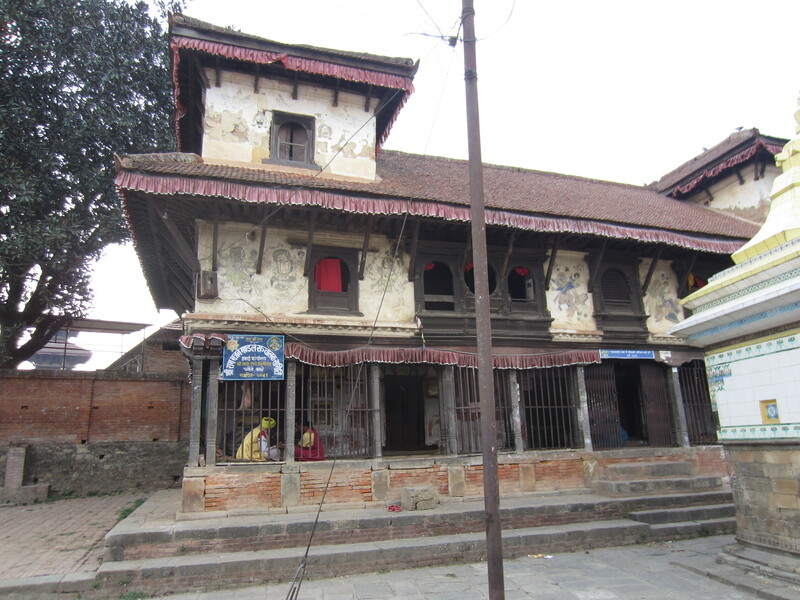 For us it was a first introduction to the religious foundations of Nepal. The next question that came to mind was whose goddess of smallpox and fertility? Hariti, it turns out, was a non-Buddhist who was instructed by Buddha about the value of compassion. As a result, she changed her evil ways (killing children) and became a guardian of the Buddha’s doctrine. And yet there at the base of one of the largest and most important Buddhist structures in Asia, Hindus, among others, were praying to Hariti. This same scene repeated itself several weeks later when we visited the Swayambhunath temple complex, a chaotic jumble of Hindu and Buddhist structures and iconography (centered on the Buddhist Swayambhunath Stupa but also including a prominent Hariti Temple) at the top of a high hill west of central Kathmandu. 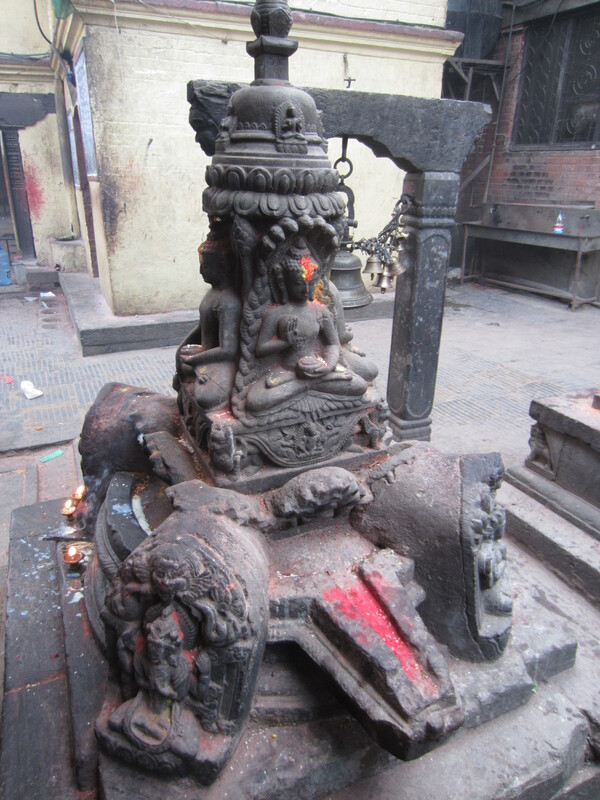 In this last photo, one might expect a Shiva lingam (a Hindu symbol) atop the yoni, but there sits Buddha. 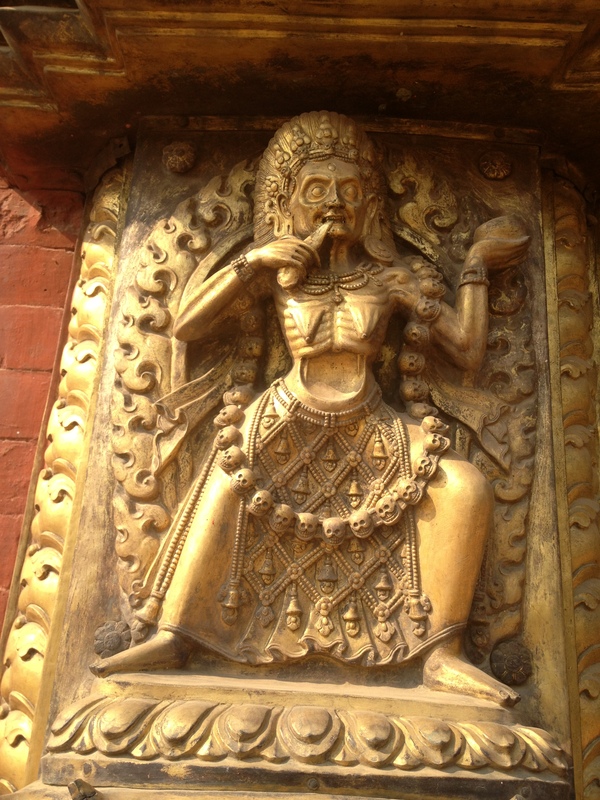 These two initial impressions — religious structures in regular daily use and a complex intermixing of Buddhist and Hindu iconography and architecture — became enduring themes as we visited or came across the artifacts of religion throughout our first month in Nepal. 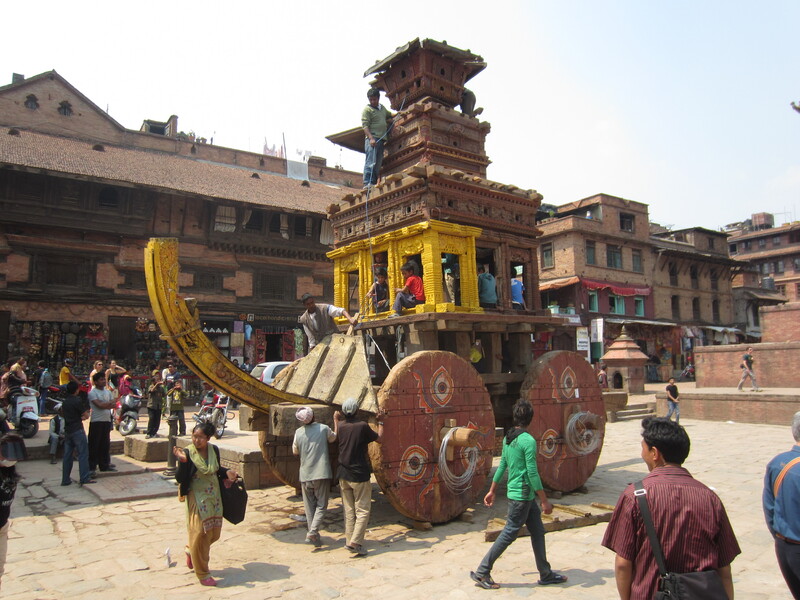 The Bodhnath Stupa was just the beginning. The next day we visited the Pashupatinath temple complex as the Hindu faithful prepared for the Maha Shivaratri festival (about which we reported briefly in an earlier post), and here too the intermixing of the two religions was apparent with Buddhist icons appearing here and there and a few of the hermit meditation caves set aside for Buddhist devotees. The notion of daily use, the deep incorporation of religion into the regular routine of the Nepalese and the mixing of Hinduism and Buddhism were on display during a stroll through a residential/commercial district of old Kathmandu during which we encountered a 15th Century Buddhist stupa across from a temple dedicated to Shiva. One block on we hit another stupa before passing an altar to Ganesh and then a 9th Century stone relief of Shiva and Parvati, then another Hindu temple with a carved Garuda, and, turning the corner, a short, unremarkable 5th Century standing Buddha statue tucked inconspicuously between a hardware store and the neighboring business. All this in the first five minutes of a casual stroll through busy, narrow streets with secular life churning around the ancient and the sacred. We walked on for another 30 minutes through a similar landscape before being driven inside by an unusual cloudburst for a cup of milk tea. Below are a few more photos of religious buildings and objects. 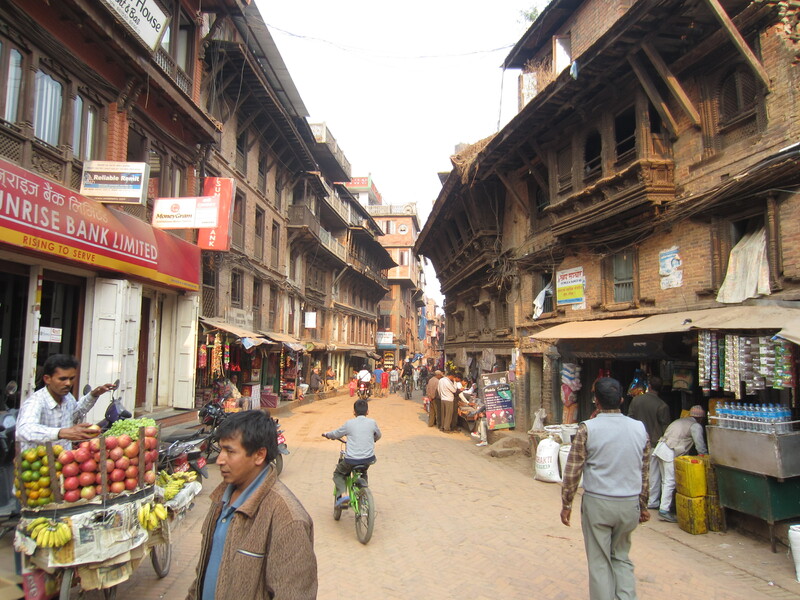 And here are a couple that capture secular life in the Kathmandu Valley. 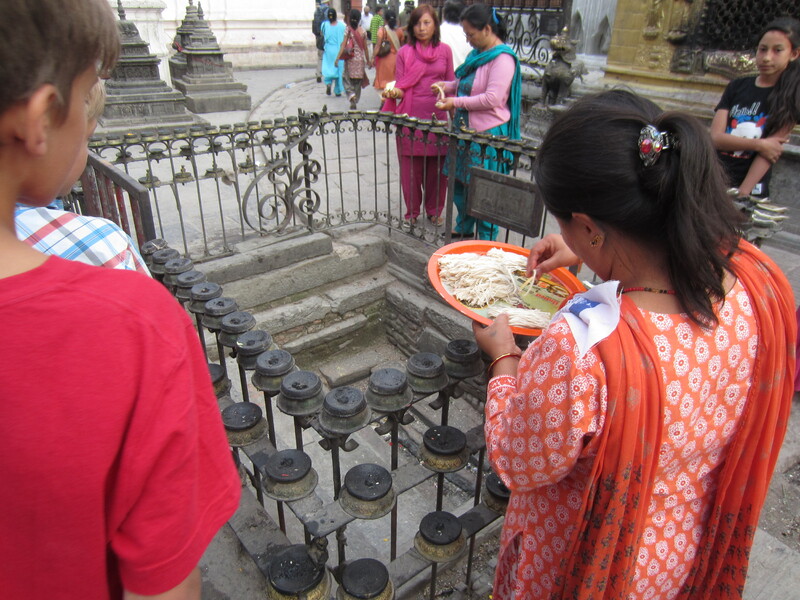 But notice the white stupa structure on the left side of the last photo under which this youngster is bathing.